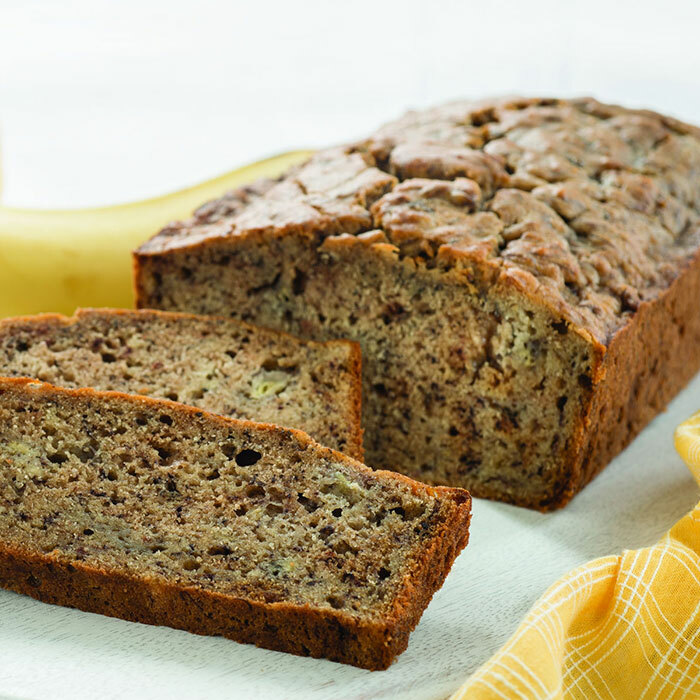 One banana bread recipe to rule them all! Brush 9 x 5-inch loaf pan with additional butter; set aside. Combine mashed banana, butter, brown sugar, eggs and vanilla in large bowl with wooden spoon. Stir in remaining ingredients until blended. Spoon into prepared pan. TIP: To ripen bananas quickly, bake unpeeled bananas on baking sheet at 350° about 15 minutes or until skins have blackened. Slice skins open and scoop out banana. TIP: To make mini loaves, prepare recipe as directed above dividing batter evenly between three (approximately 5 3/4 x 3-inch each) mini loaf pans and bake 40 to 50 minutes or until toothpick inserted in centers comes out clean. To make muffins, prepare recipe as directed above. Spoon into greased 12-cup muffin pan. Bake 20 minutes or until toothpick inserted in centers comes out clean.